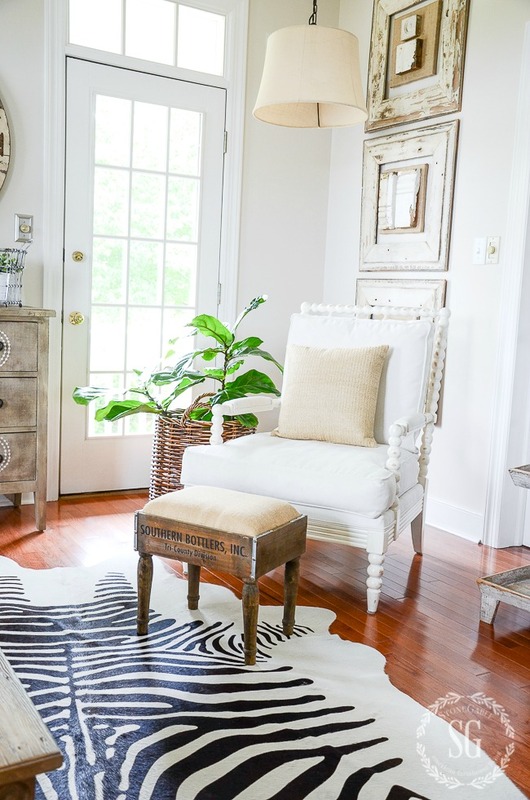 Today is …HOME STYLE SATURDAY where we share our most popular post from our archives. 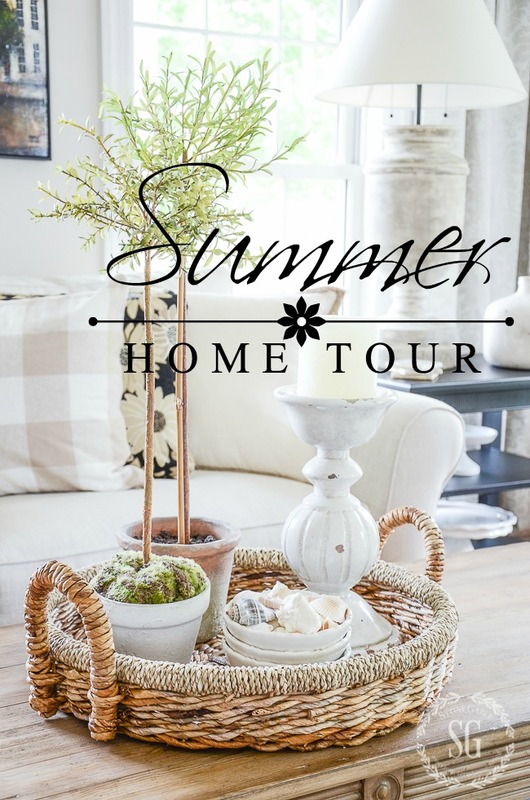 I hope you will take a second look at my Summer Home Tour! Absolutely gorgeous home! 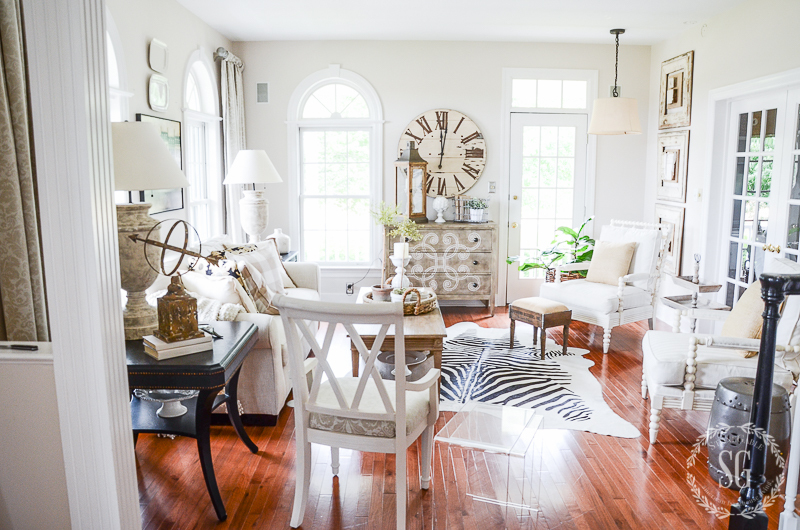 I would love to know where you got the picture above the sofa…it looks like Paris rooftops and has green trees in front. I love this picture! Thank you so much! 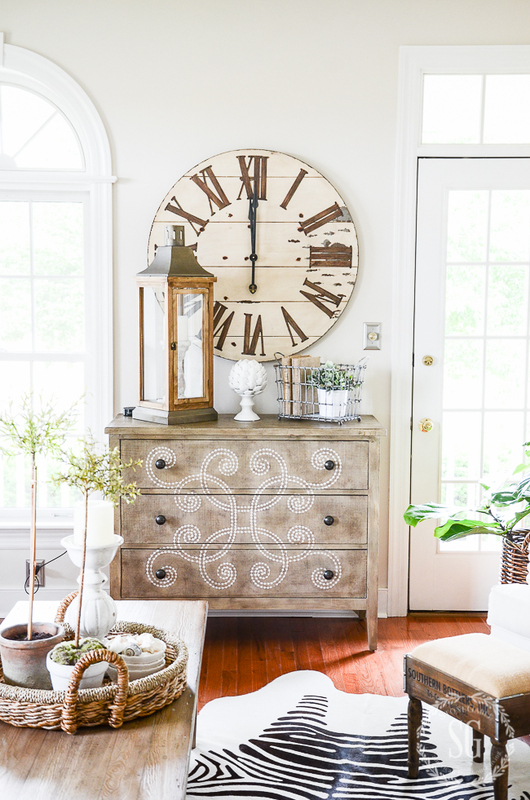 Absolutely love the dresser and clock every time you show it, every style and every season! Beautiful in every sense. 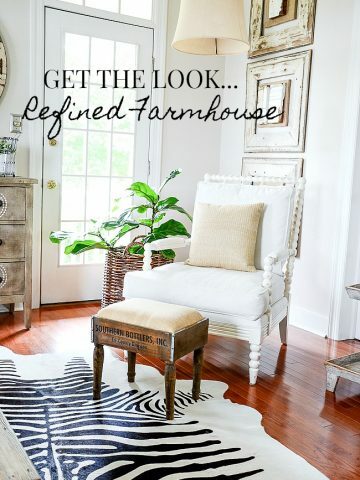 As an aside, I have to laugh to myself when I see “Farmhouse style.” I live in Wyoming, come from Nebraska and have yet to see a farmhouse done so stylishly and white. However I am sure there may be more than one somewhere, but the manure covered boots don’t go past the shed or mud room, I bet. ? ~ Yvonne ~, I want your market sign, love it! Yvonne your home is beautiful, and such an inspiration to me. 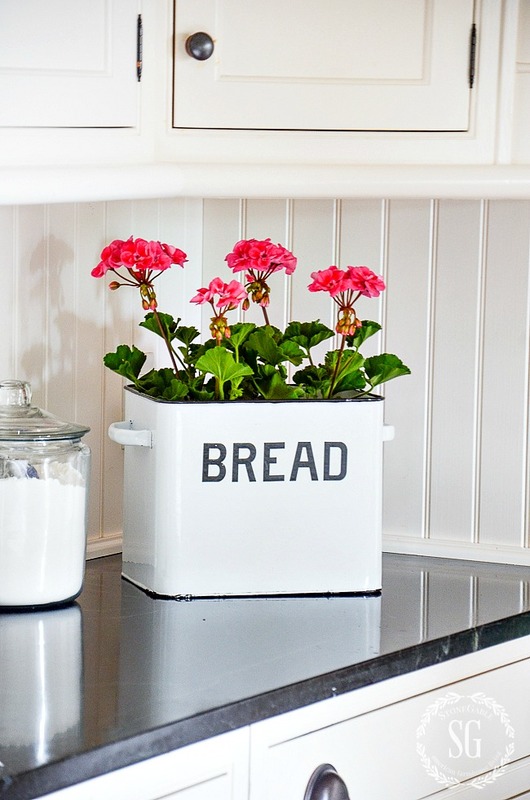 I already know where my white pot is so I can transplant my plant into it. I just purchased the metal oval basket that you have with the plant and burlapped books in. I hung four pictures the way you did on the wall, filling up the space floor to ceiling. They look fabulous even on average 8 ft walls. 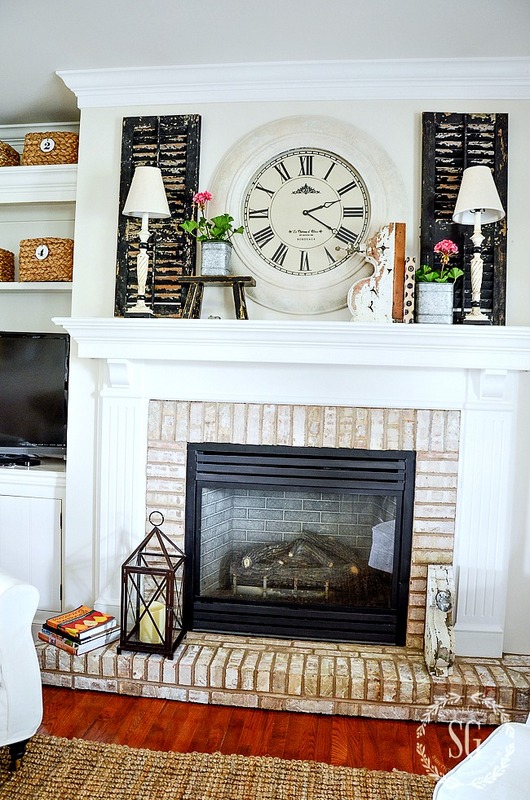 I look forward to seeing your home decorated for all seasons, and the stories that go with them. You and your amazing husband have a beautiful home. Thank you for sharing it with us. 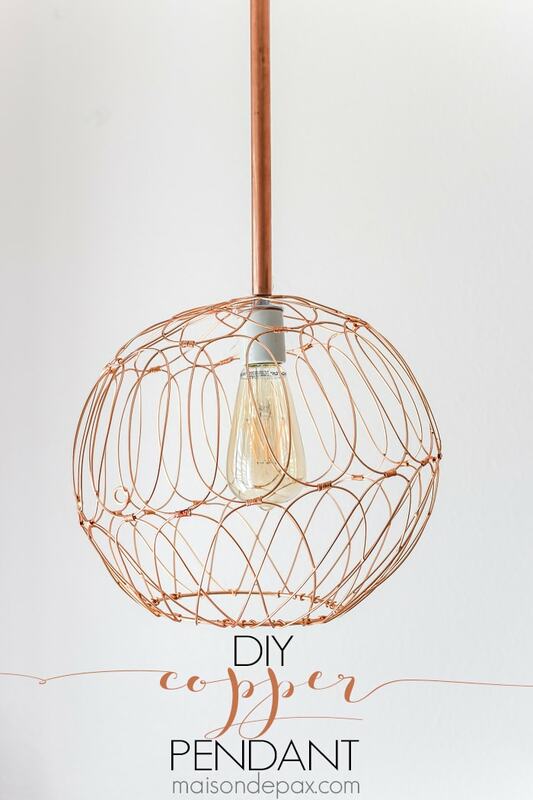 I can always get great ideas from your blog. Thank you and God bless you. Beautiful home. Thanks for sharing – especially loved hearing about your Bobby. ❤️❤️❤️ So very sweet. Hoping you are back on your feet soon. No matter what the season, your house looks fabulous. 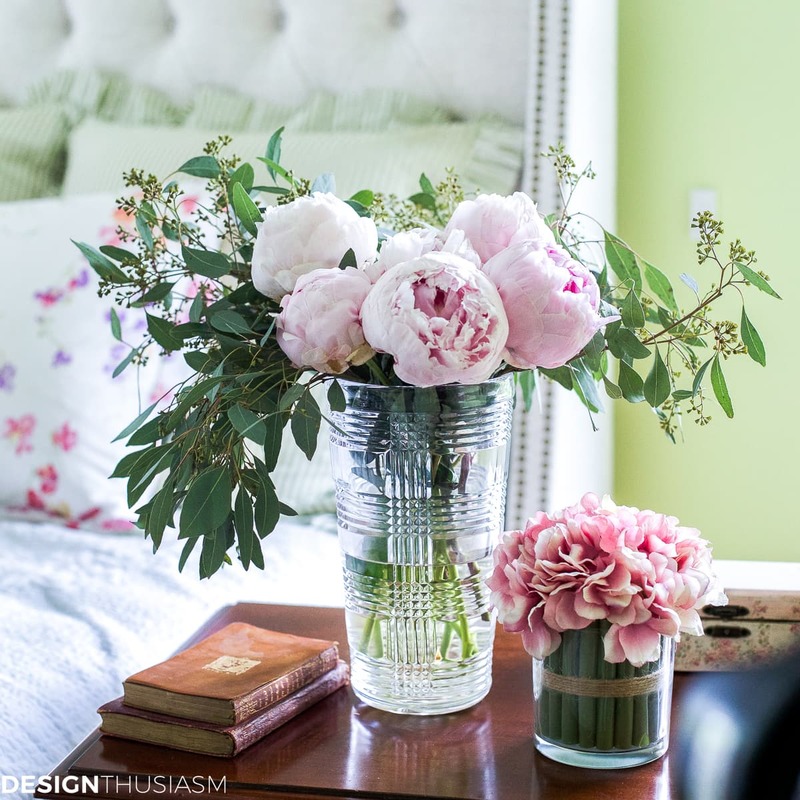 I never tire of looking at your rooms and I seem to notice something new every time! Oh Yvonne, how I loved reading about your loving husband and his great care of you. I had a similar situation this past 8 months. I was quite ill with a mystery illness that left me mostly housebound. I couldn’t have faced it without my hubby’s love and support. Love your home and how you share it and your faith with all of us. Your home looks so fresh and beautiful, friend. Sounds like you have a keeper. I hope you enjoy your summer. 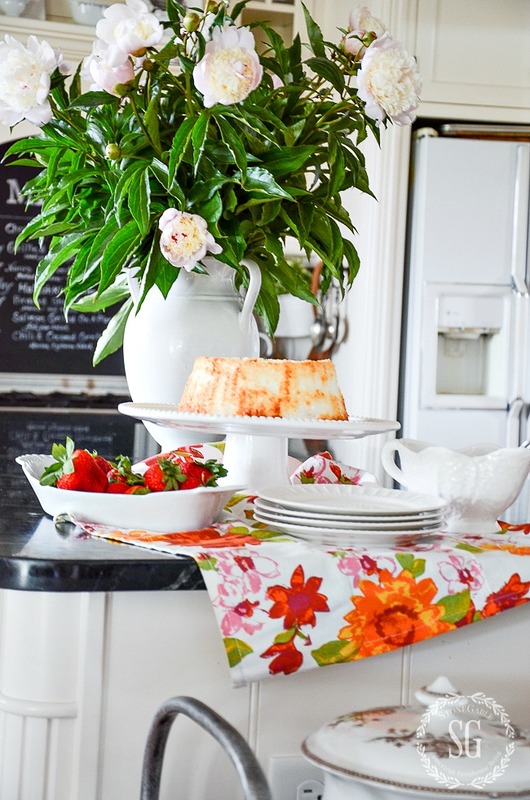 Your house is so very pretty for Summer and what a sweet husband! Will you tell me where you got your white pitcher? Its just what I’m looking for. Its all so very pretty and what a sweet husband! Lovely, as always, Yvonne. I like the family room much more with the stars removed; it opens up the room more and is less busy. I like the pared-down dining room too. Thanks for our Summer tour. Always so much fun looking at your blog. God Bless! another great tour! thanks for sharing! what color thinking front door? 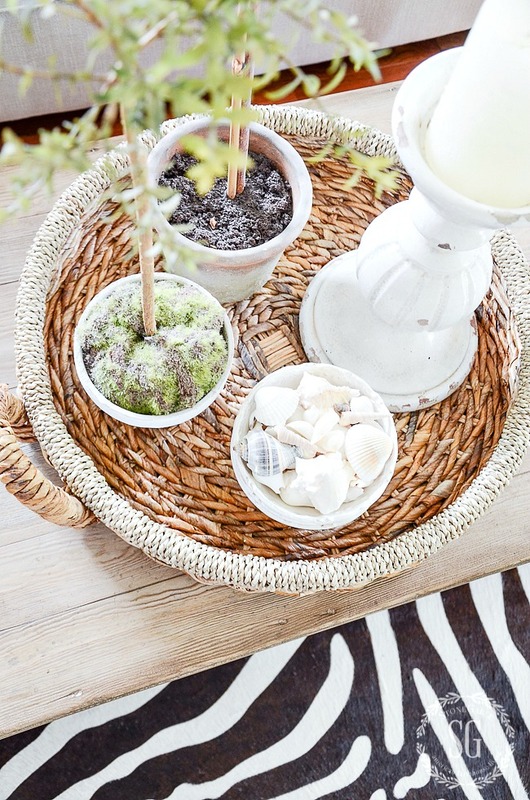 Ok…please tell..where do I look for a basket trunk to use for a coffee table? 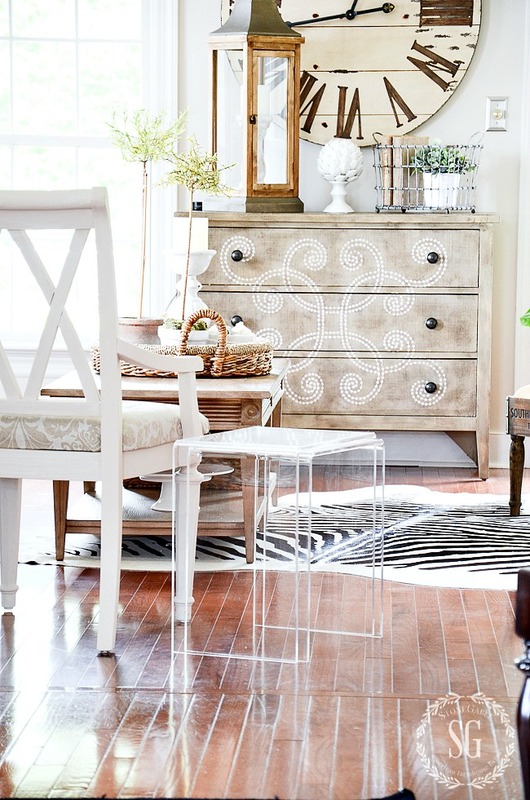 That’s a fabulous idea for a table that can be “put away” when you need more room. (like when the grandkids visit and need more room for gymnastics in the living room. It’s been so long ago, Pam, when I bought the same wicker chest, that it may be of no help but here goes … I bought mine (back in the 70’s!!) at Pier 1 in Canada. I had it at the foot of my daughter’s bed to hold extra school books, etc. 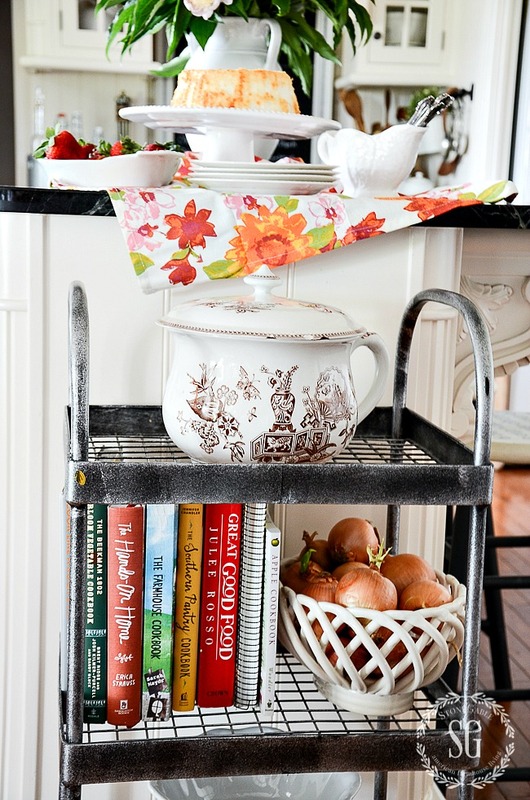 and now, decades later, it is used in her own home as a coffee/storage table. Beautiful, inviting home! 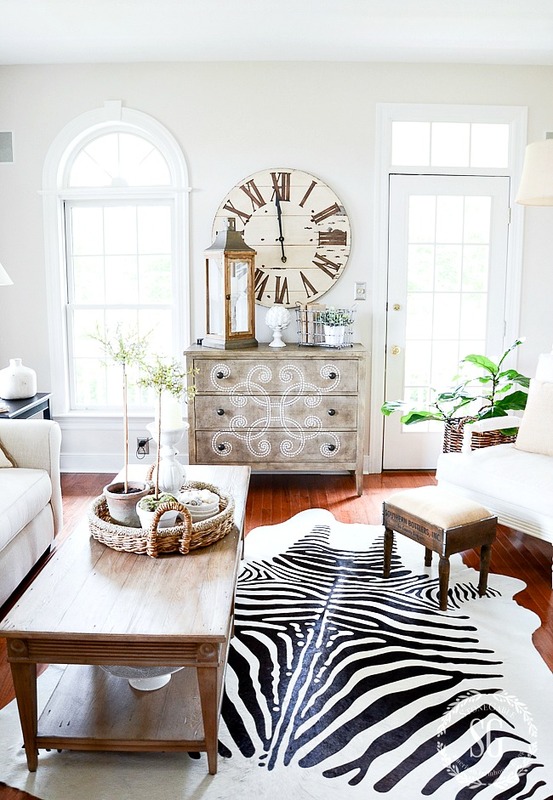 The foyer rug…resource, please!!!! THANK YOU for beautiful ideas and inspiration!! Happy Father’s Day to your sweet Bobby! thank you and your husband for the home tour. 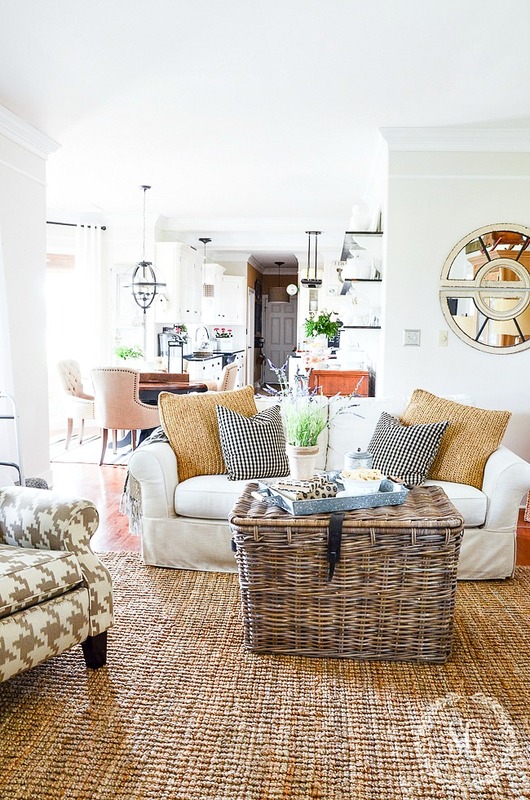 Love how light and airy your home is for summer. I didn’t know my husband had a twin! Like yours, he has been my rock since we married in 1989. I’ve had so many surgeries and injuries since around 1993. I’ve had 7 back surgeries, three of those were fusions. I’ve had three joint replacements and need another one. I’ve had both ankles reconstructed back in the 90s, but two years ago, I fractured my left ankle in a fall. The arthritis was so severe, they felt it would be better to do a fusion. Since then, I haven’t been able to walk without a cane. Without Elton, I’m not sure I would’ve made it through everything. Not physically, and certainly not emotionally! I hope your ankle is getting better every day. Your home is really beautiful. I’ve talked my husband into taking me down to Luckett’s in July, and I’m already dreaming about it!! 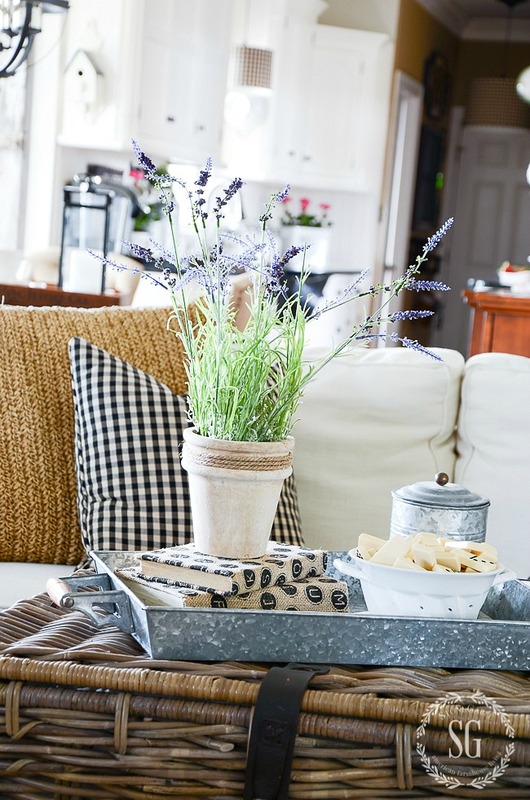 Love that Southern Bottlers Ottoman! 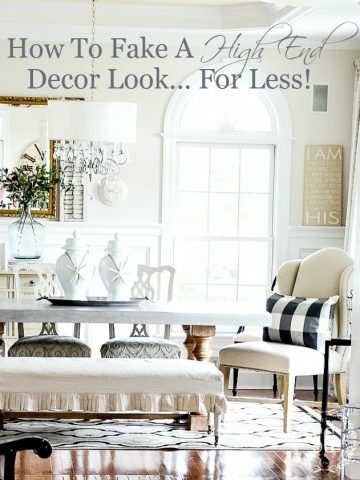 And your dining room chairs! Thanks for sharing it with us! karen…. Beautiful tour… thank you for sharing. And thank Bobby for contributing so much and so well in order to keep us blessed with your blog! Beautiful!! 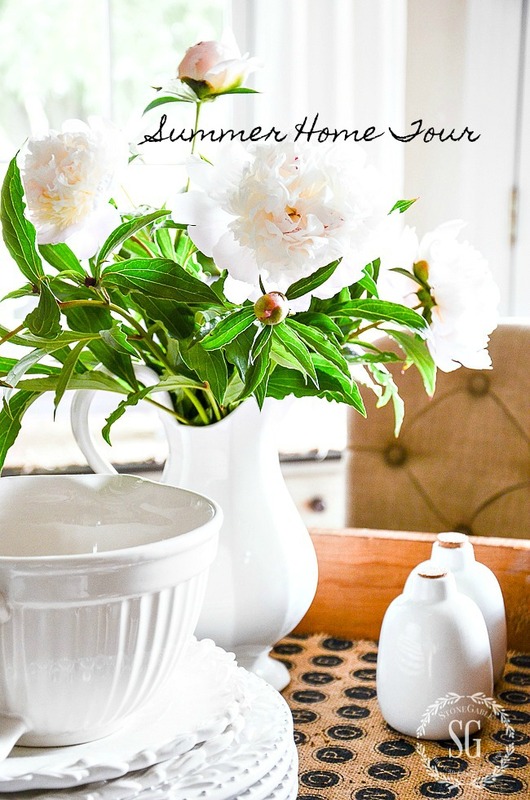 I love the clean comfortable look!1 Your home is very inviting!! 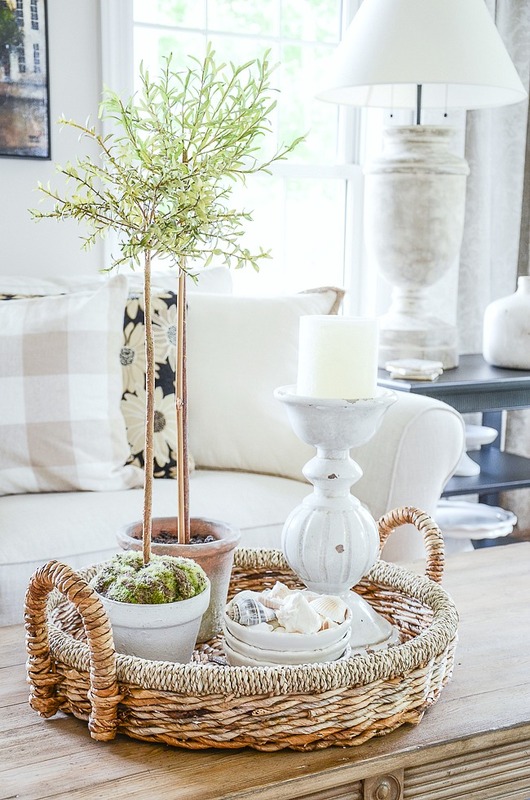 Your home is so lovely!I love how you styled it simply for summer. Bobby sounds like a dream! So nice to hear your loving comments about your husband. God has blessed me with a sweetheart, as well. Your summer home is lovely, as are you. You are an inspiration on so many levels. Love your grateful heart throughout a difficult time. I just love your home! 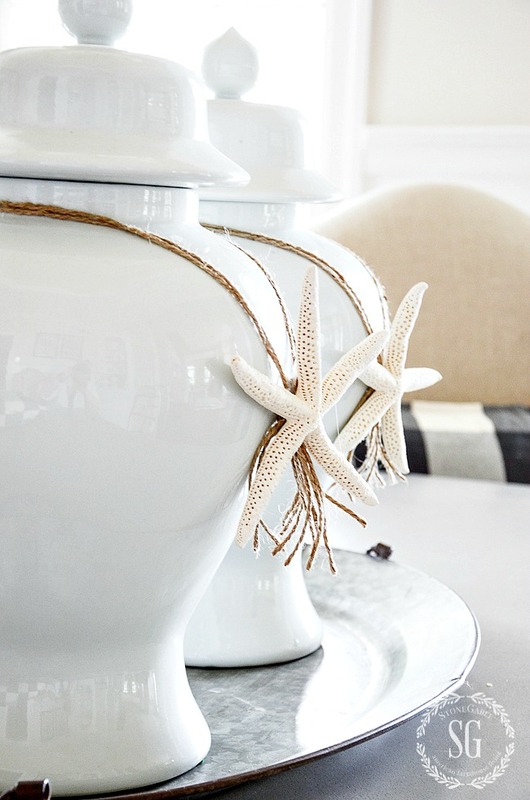 Thank you for sharing your summer decor! 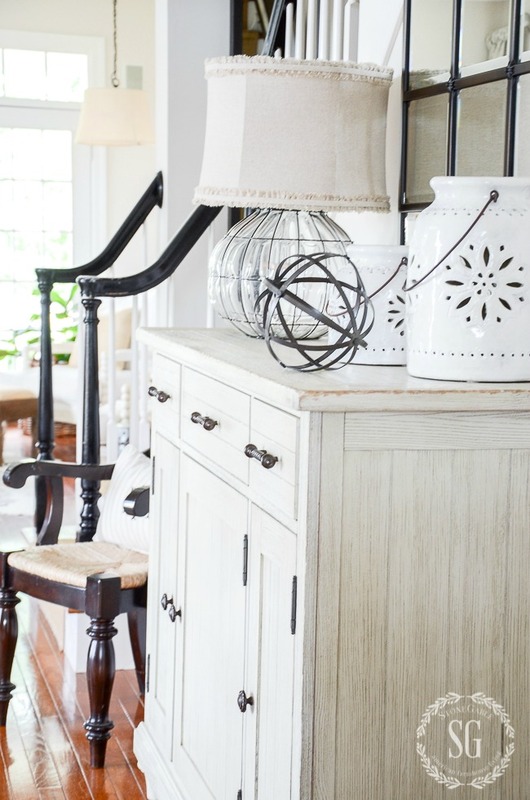 Yvonne, I have always appreciated your refined side in styling your home, yet the country farmhouse touches blend so well too. 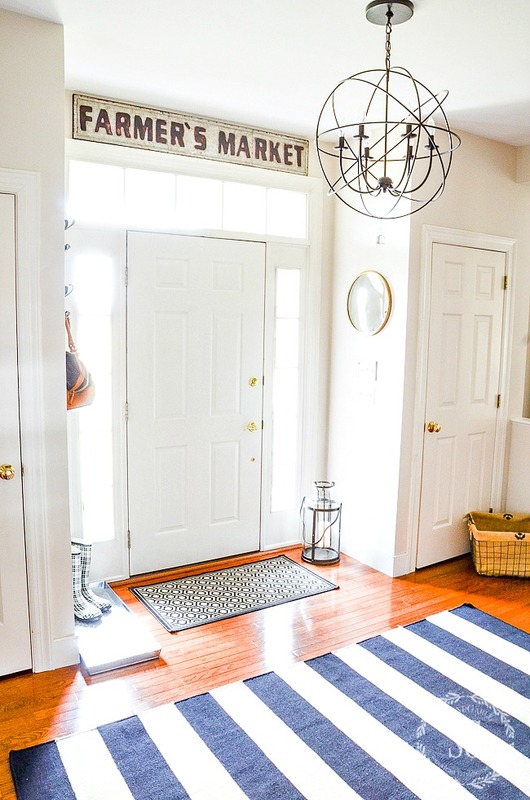 Your summer style is quite nice, and the foyer may be one of my favorite area. 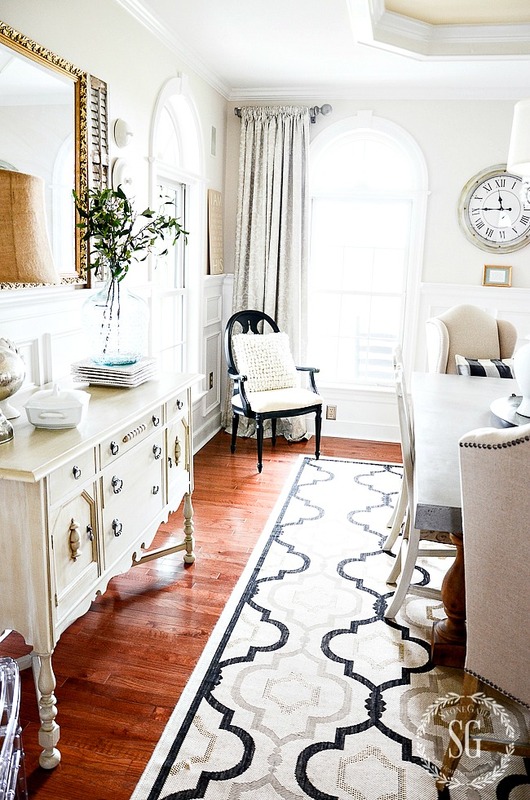 I love the mix of patterns in the rugs, the simplicity in vignettes. Your Bobby is truly an amazingly dedicated partner. What a blessing. Thanks for the tour. I love your stool, made from the crate. So cute! in the dining room. Your home is always so lovely. Your home is lovely. 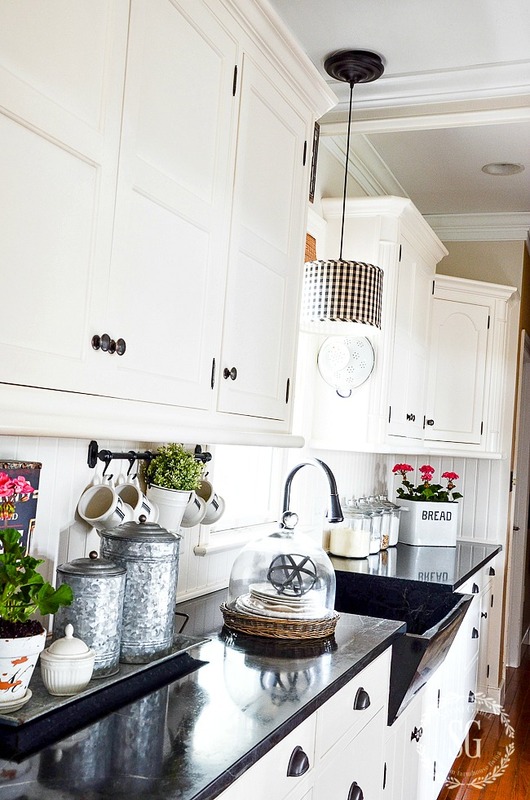 I just adore your kitchen. 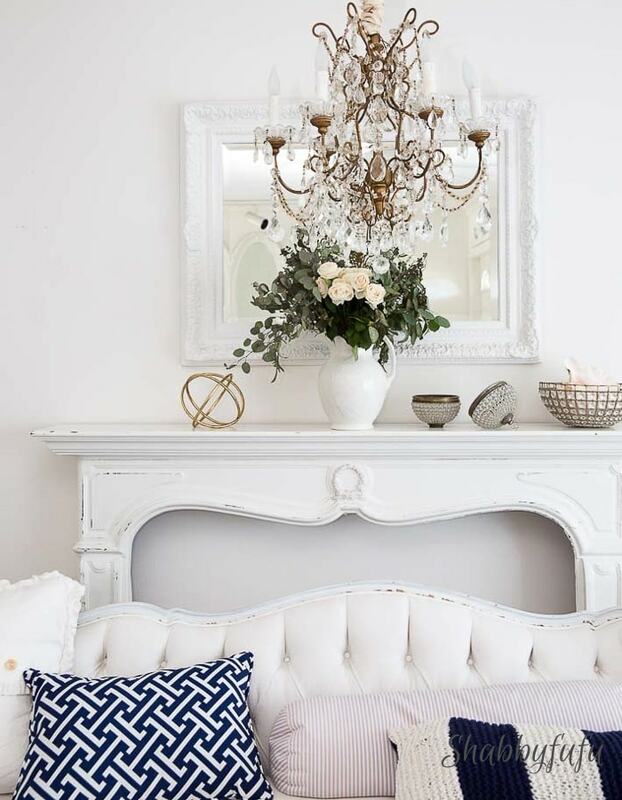 It is so pretty and elegant and inviting!! Your home is always so lovely and inviting. Thank you for the summer tour. 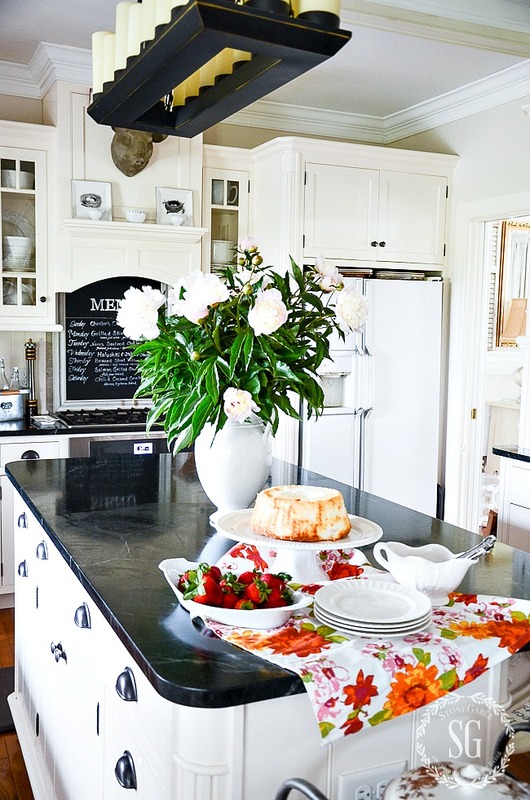 I love the changes you made in your breakfast area. It is one of my favorite spots in your sweet home. You are blessed to have Mr. Bobby. 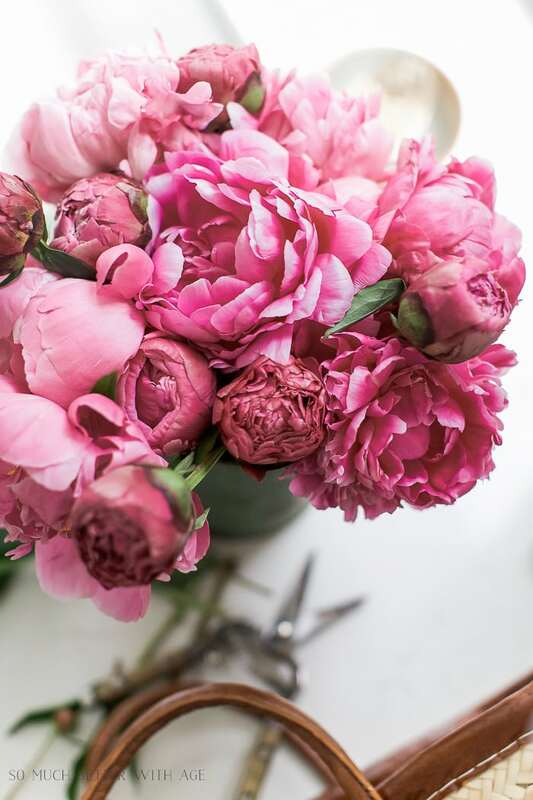 I hope this summer finds you fully recovered and able to enjoy your home and garden. Your home is amazing. So much fun to view! 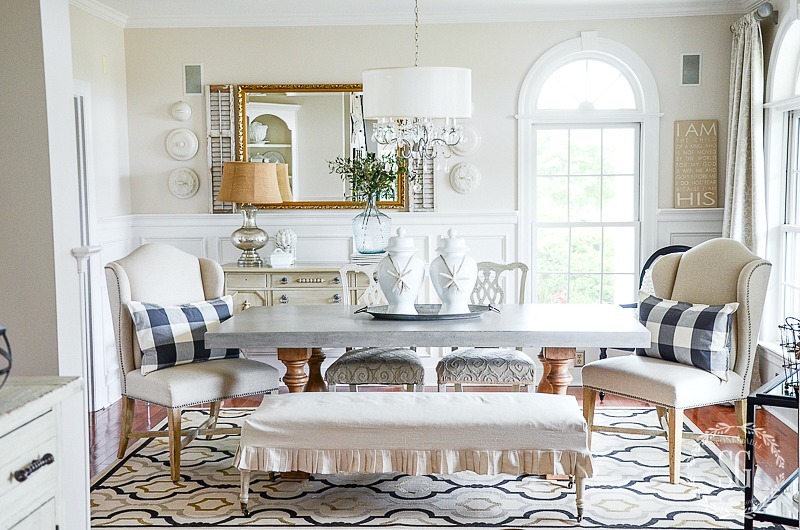 I love the blue and white stripe rug. Did you purchase from Dash and Albert? If not would you tell me where? I have a perfect spot for that rug in my home. Always a treat to see your lovely home! 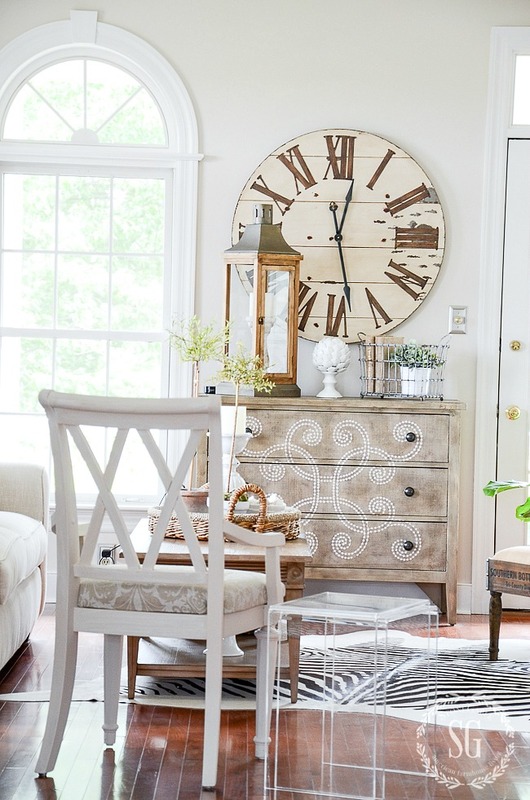 Yvonne, such a lovely tour of your gorgeous home! You have been truly blessed with such a wonderful husband. May God continue to bless you both! Bobby needs to be cloned! He sounds too good to be true. Lucky woman! Beautiful, beautiful home. Thanks for the tour. 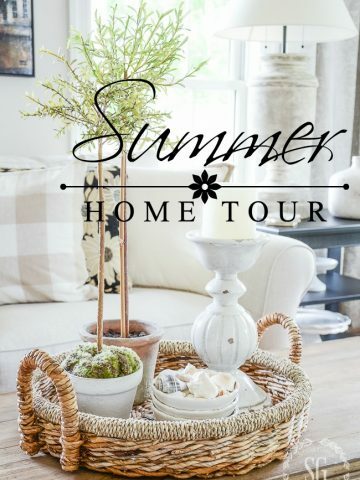 your summer home is truly lovely! thanks! I enjoyed the tour of your gorgeous home. 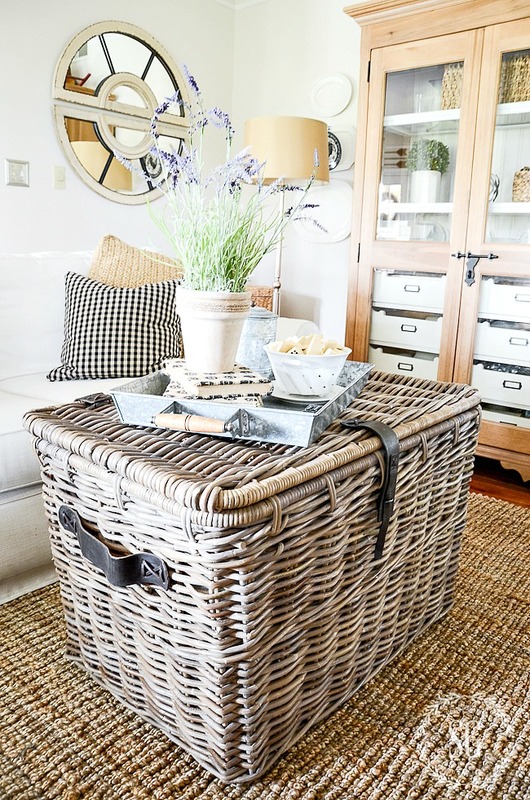 I loved the wicker basket coffee table. Do you mind sharing the source? Thank you for the tour,beautiful! Love the farm house with the formal. Oh Yvonne. Love it all as usual. But have been looking for a small foot stool and you have given me an idea with your spindle stool. Love it. Such charm too. 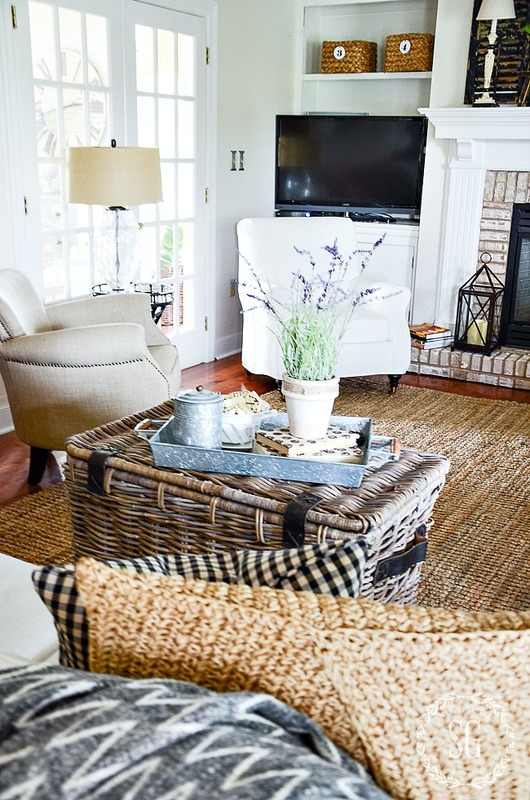 And love the idea of your wicket chest for the family room. I also had a puddle of my iPad hearing all about Bobby❤️ He’s a keeper!! Thanks always too for your Sunday inspirations. So wonderful you are also spreading Gods word. ? Loved touring your ‘summer’ home. My taste and my husband’s runs to more color but enjoy seeing other ideas. Newly transplanted to New Mexico, we now have a turquoise coffee bar along with a repurposed and repainted turquoise 1970’s curio mug cabinet. Not only does it make me happy to look at it, but I remember my mom when I see the mug cabinet as it was hers many years ago. 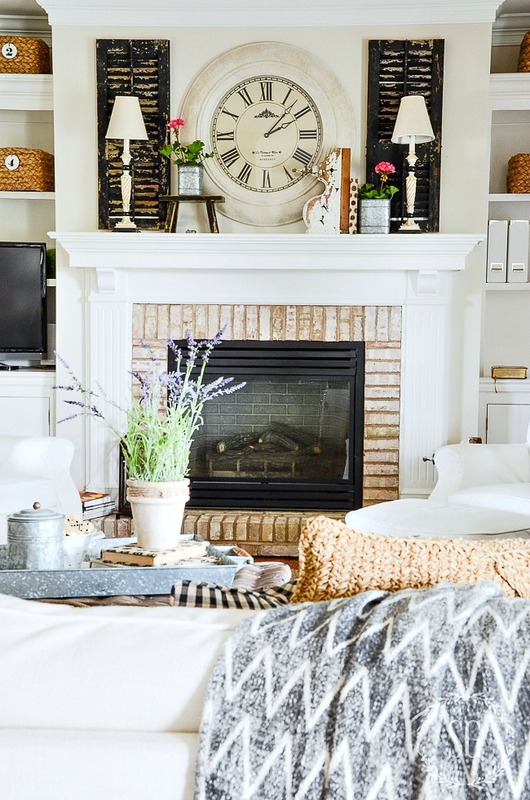 Your home is amazing – both stylish and comfortable. 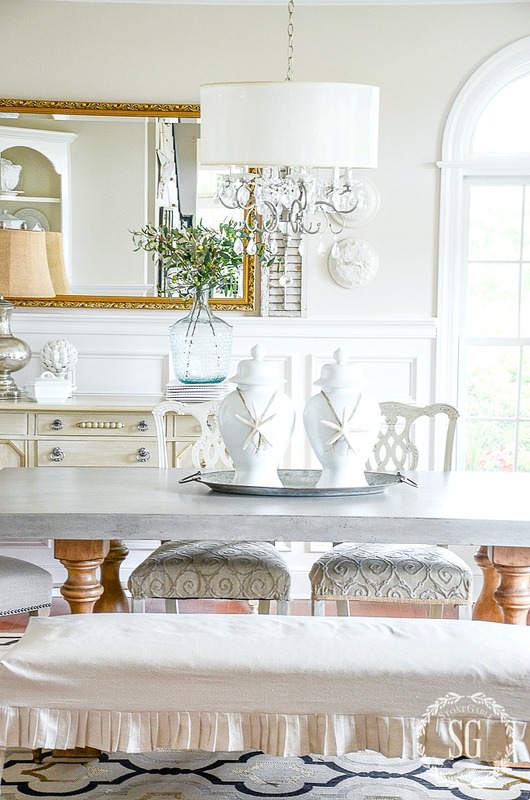 I am so happy to see that you “simplified” your dining table for the summer. I have to admit that previously, I cringed a little when seeing – or actually not seeing – that beautiful, wonderful, amazing, concrete tabletop. When you first featured it, I sent your photo to my daughter who plans, when she is able, to have her own concrete topped dining table. 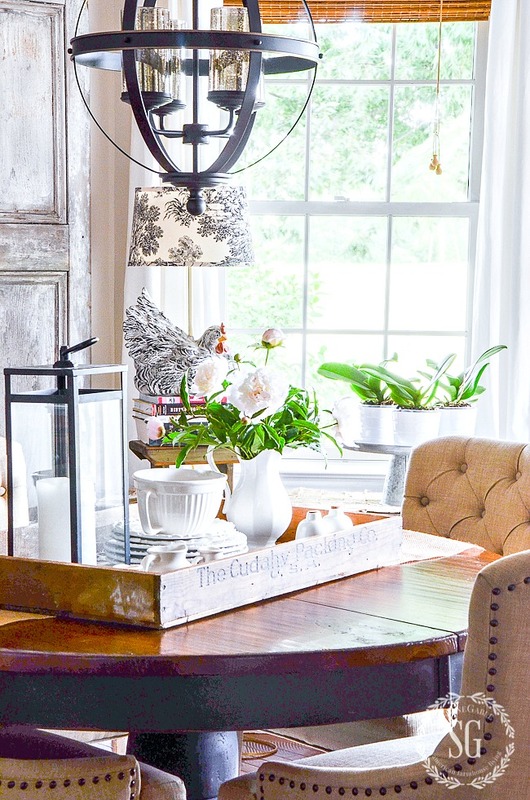 You have so many wonderful things in your dining room – the tabletop needs a chance to shine on its own. Hope your recovery is going well and you’ll soon be back to your normal routine. I always find something I want to pin on your site…thank you! Hi Yvonne! 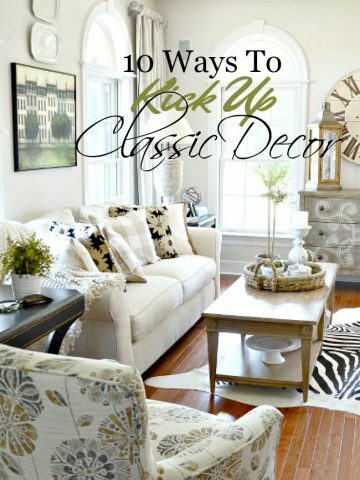 As always, love your decorating style. 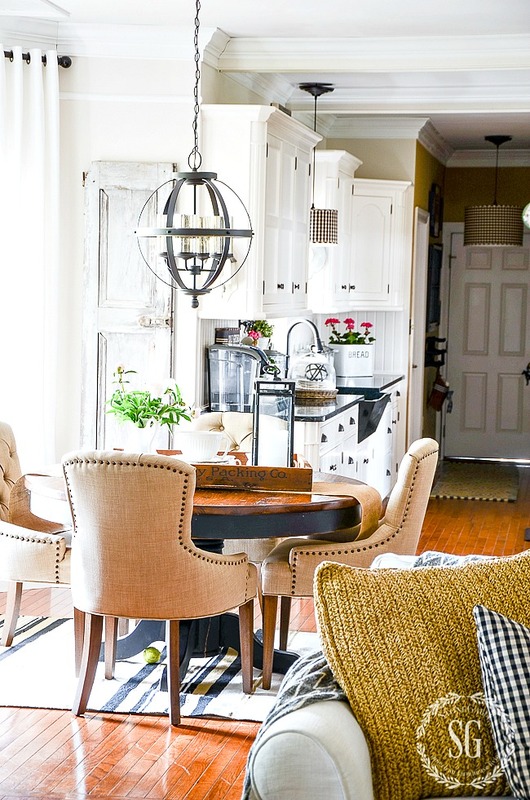 Wondering if you could tell me where you found your ceiling fixture over the table in your breakfast nook. 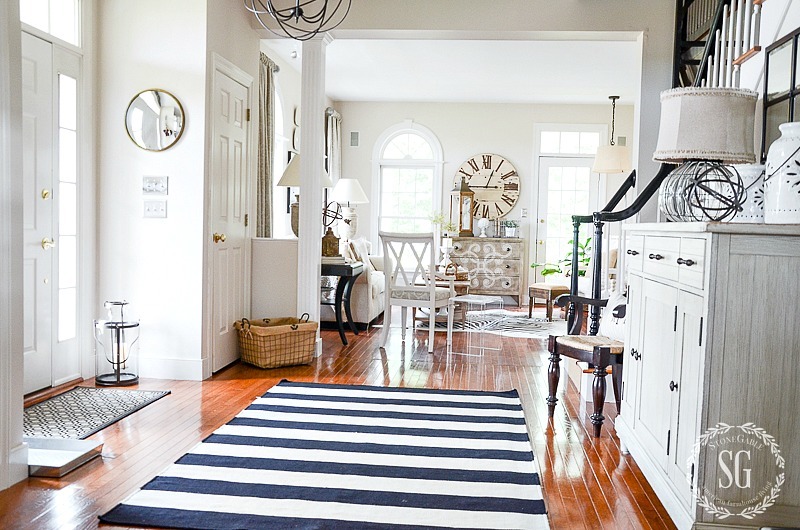 Since I am a big fan of the color blue I love the rugs in your home- especially the foyer rug. I must say I have rug envy. Your house is beautiful and welcoming. My wine colored walls and cherry/mahogany dining room was tired. After endless hours on web I finally found YOU. YOU agave me the inspiration and guidance to change. Thank you! Welcome to the StoneGable family, Kathy! So glad you found me! 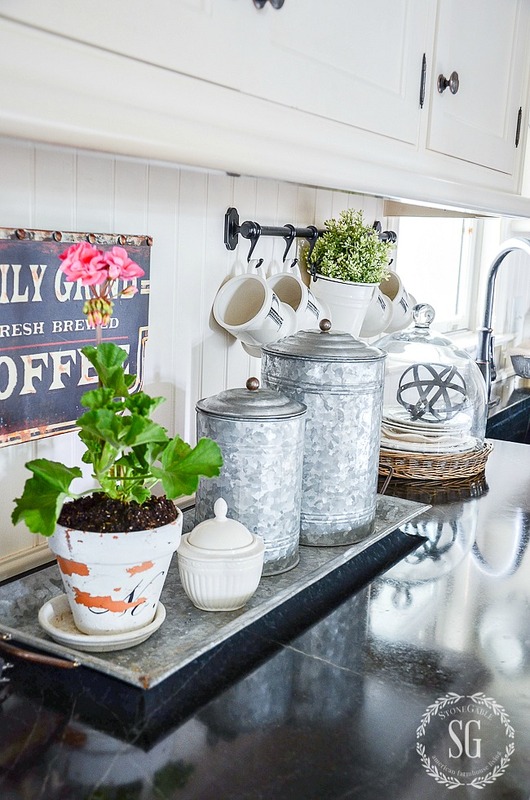 Love, love, love your beautiful home. Thank you so much for the summer tour. I’m so happy to see you here commenting Sue! 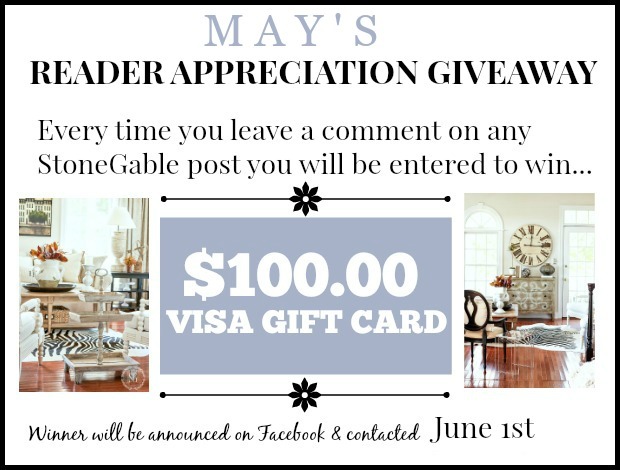 Thanks for being part of the StoneGable family!!! Hugs to you! 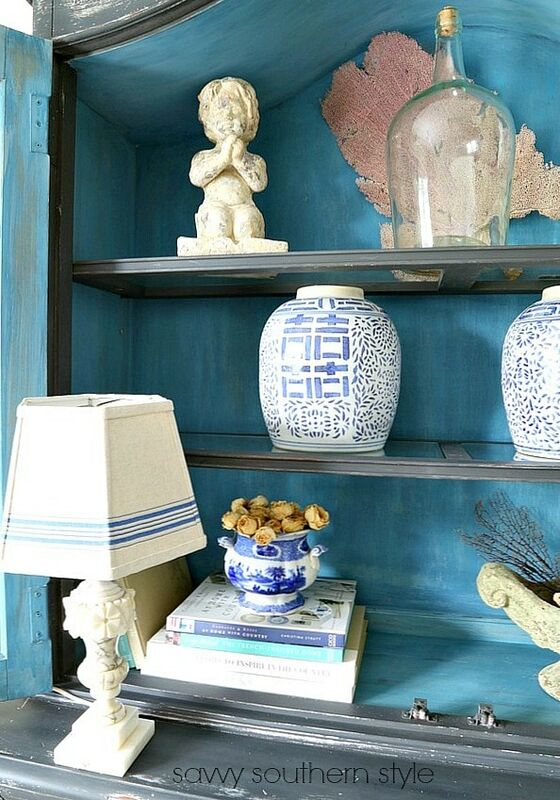 Such a beautiful home down to the smallest detail. You are blessed to have Bobby by your side! Hope your recovery is coming along well? 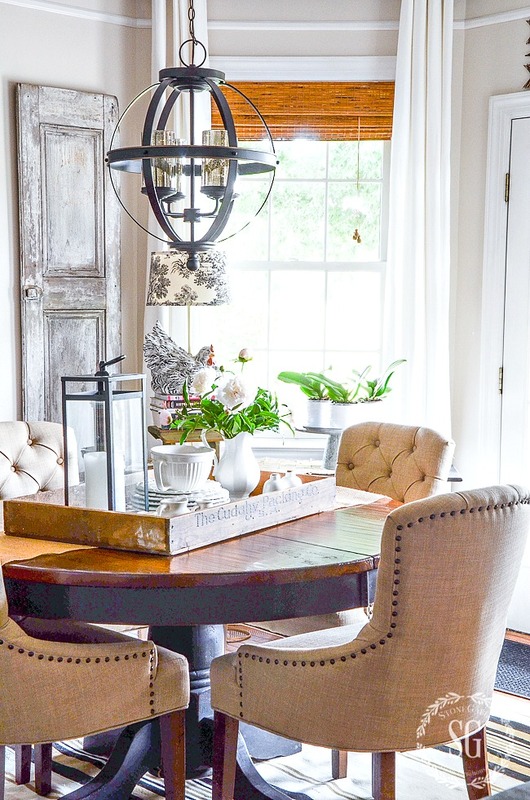 Your home is full of special pieces that all come together to make a warm and inviting home. 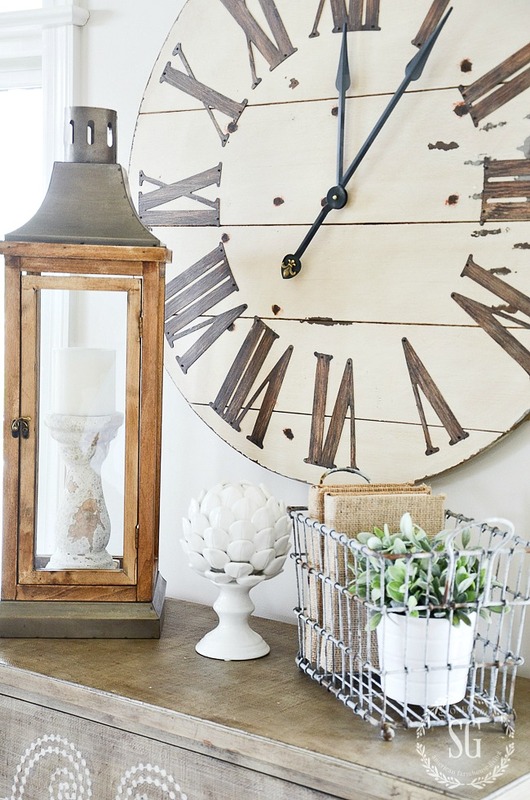 Love your home and style! 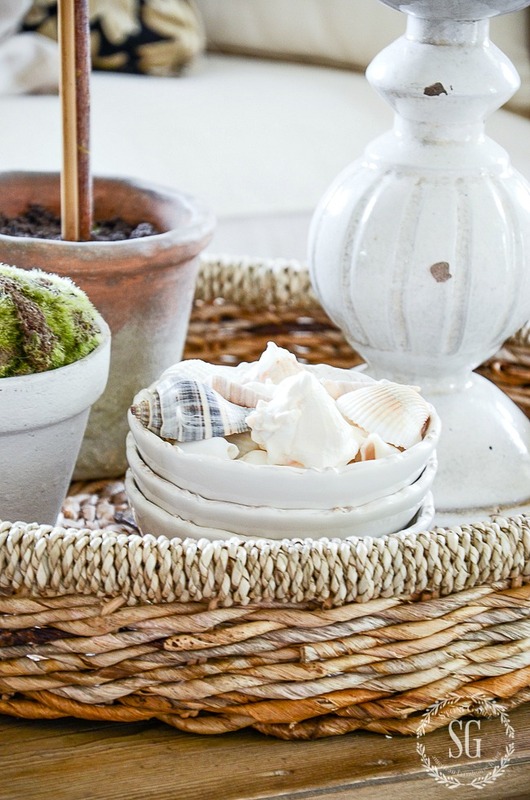 I like the idea of allowing your home to breathe and just having a relaxing and comfortable summer. So much to gush over–this box isn’t big enough to hold all my comments! 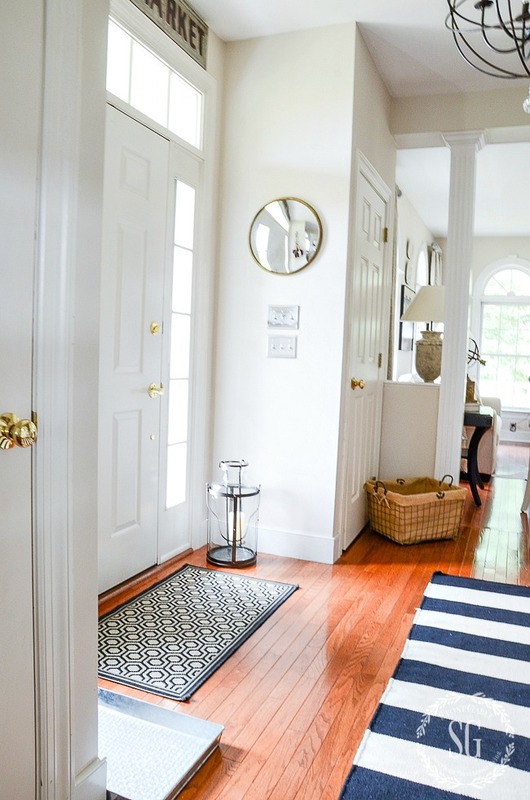 Really do love the light that flows in through your foyer–our entry is always gloomy due to always being shade. BUT the new farmhouse door with 3/4 lites is finally delivered and awaiting installation! I loved the tour, your home is wonderful!! Thanks you so much for sharing. You are truly blessed, with a loving helpful supportive husband. I always find inspiration from you. Enjoy your weekend. Your house is so put together and beautiful. 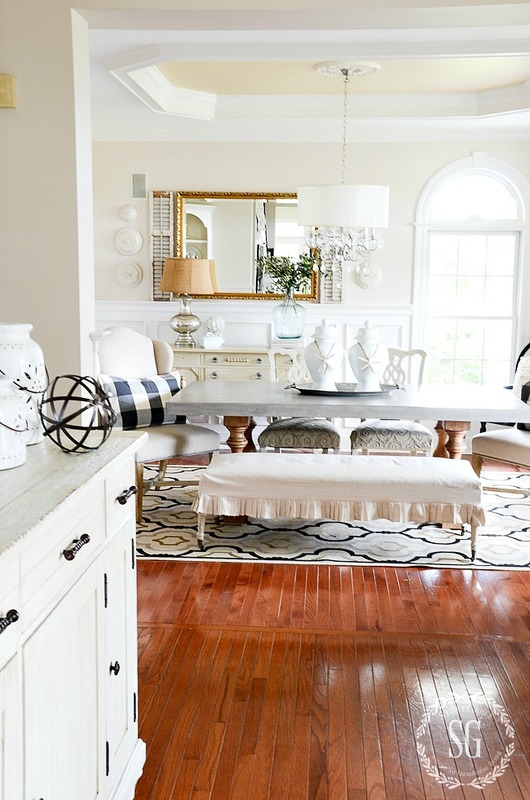 It is so inviting and would love to sit down with a cup of coffee and have a chat. Such a wonderful home and so many special vignettes. Could you tell me please where you found that lovely sofa? It’s exactly what I need for my new home. Thanks again for sharing all your ideas. 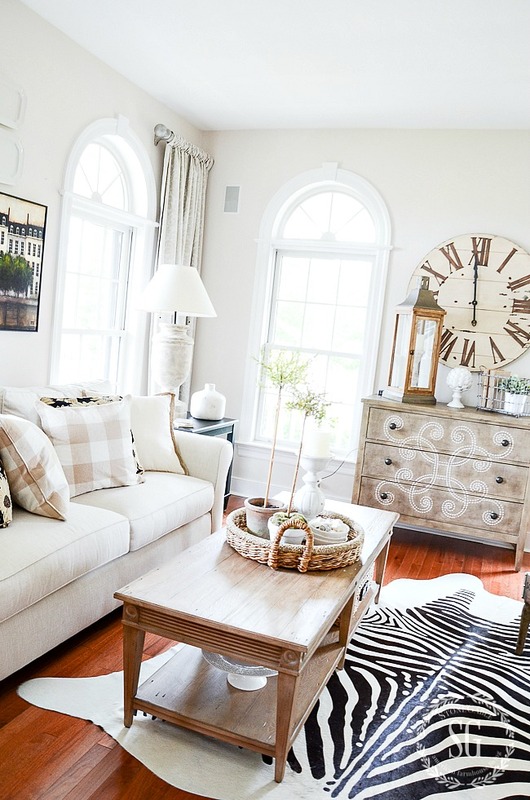 The sofa in the living room is from Pottery Barn. It’s a down wrapped foam core sofa in a performance fabric. This is my favorite sofa! Your home is so beautiful. What a blessing to have Bobby to help you and live your home so much. I love the neutrals. P.s. My husband doesn’t even know we own a vaccum. Thanks for the summer tour! I just love your home. 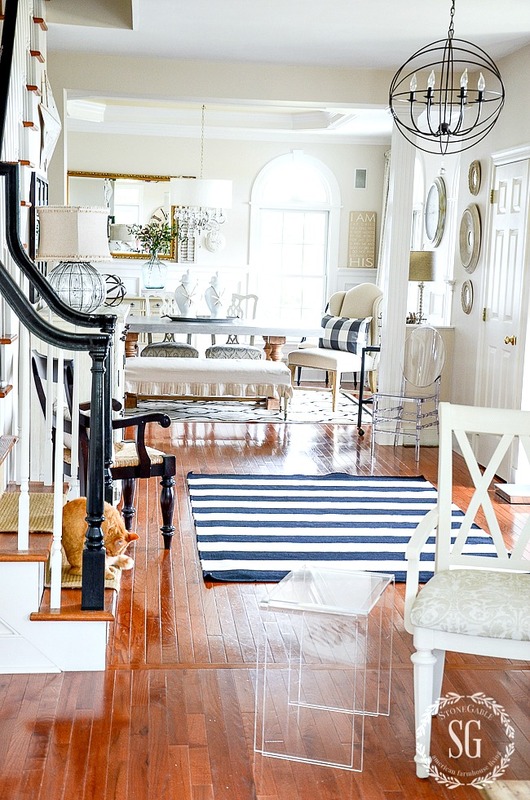 I love the kitty sitting at the bottom step. I also love that your husband takes such good care of you. Mine does as well. We are truly blessed! I’m trying not to rush things, but I am already looking forward to Fall. Summer is just miserable where I live, so we stay indoors mostly with the air conditioner. It is a time to relax though, and I try to enjoy summer time as much as possible. 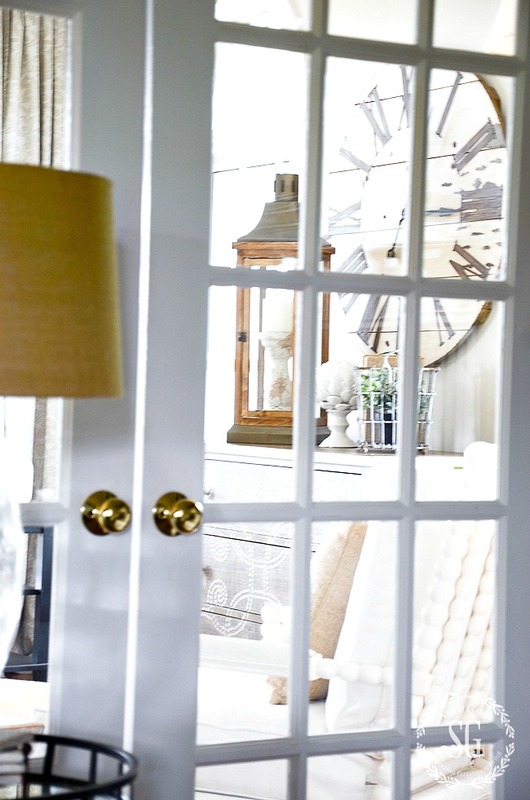 Simply gorgeous-please tell us about the drapes in your living and dining room, specifically the rod. 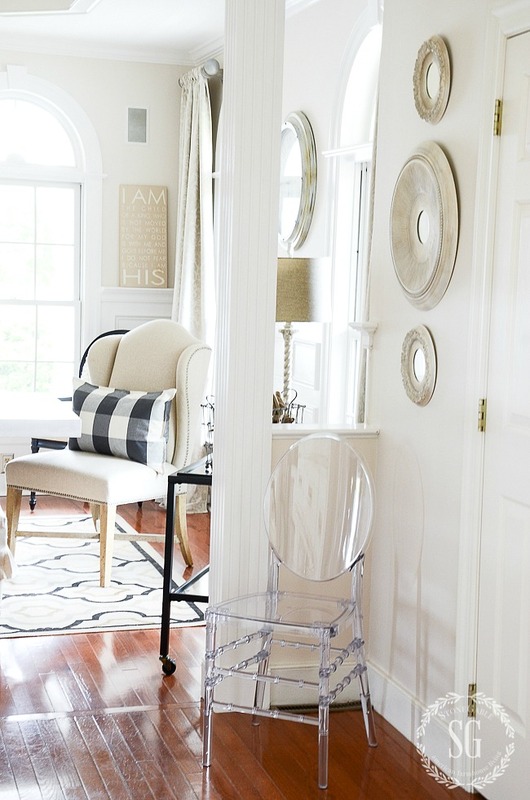 Are they swing arm or simply used as decor ? I love the look but am confused as to how they work to cover the window. Marilyn, I made the drapes and even lined them. Boy, that was the biggest sewing job I have ever done! Because the drapes are so long we put up a big piece of wood on saw horses in the foyer for me to measure and cut the material. And speaking of material, I found it at Ethan Allen on sale. 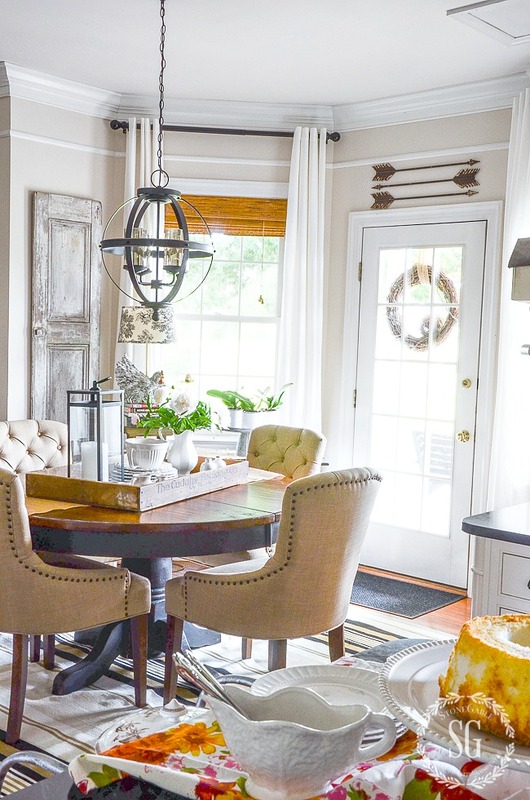 The hardware that hangs the drapes were painted and antiqued to match as they were very mismatched pieces that I found in 3 different places. I put them together and they worked to hang the drapes. The drapes and hardware are on the formal side but they were done on the cheap, for sure! Enjoyed the tour of your lovely home Yvonne. Bobby is truly one special guy! Does he mow the grass the same way as he vacuums?? Yes he does! He really loves being outside and in the gardens. Beautiful home and wonderful husband – you are one lucky gal! Beautiful! I love that Bobby takes such good care of you and that he helps you get your house photo shoot ready. Not many gals could brag about that. Just lovely Yvonne! Thank you! I think my home needs to breathe! I’ll work on that! Very beautiful home!Loved the tour!